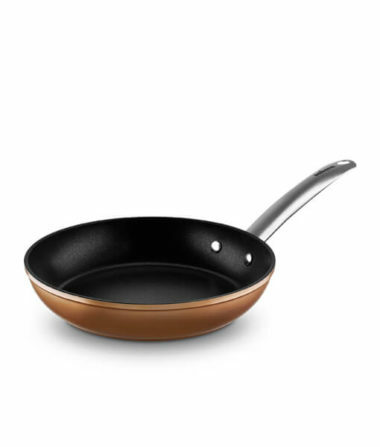 Non-stick Sabora frying pans perfect weight and balance together with its super large stainless-steel handles will help you stir fry very comfortably. Professional riveted long handles ensure perfect secure handling. Its vitro and gas special base achieve the best energy efficiency in these cooking surfaces. And they have an outer metalized copper finish you will love. Click to learn more.